All personal information collected and used from the UK Food Exports™ site will be processed in accordance with the revised 2018 Data Protection Act. By submitting a listing to the UK Food Exports™ web site, you are deemed to have accepted the terms and conditions laid out here. These terms and conditions and the contract of which they form part shall be governed by English law. All references to "the customer" refer to the user applying to place a listing on the UK Food Exports™ web site. All references to "the web site" refer to the UK Food Exports™ internet site. All references to "us" refer to UK Food Exports. All references to listings, also applies to banners and other advertisement packages. 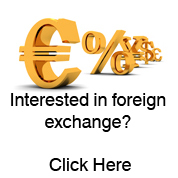 This service offers the facility to compose and place an listing on the UK Food Exports™ web site. 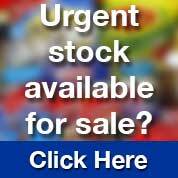 UK Food Exports™ is only able to display one listing for each company at any one time on the web site without further purchased listings. If the customer orders a subsequent a listing for a company which is already advertised on the web site, then the subsequent listing will be removed. The advert copy you supply must be legal, decent, honest and truthful and must comply with the British code of Advertising. UK Food Exports™ may amend the advertisement to ensure compliance with these requirements. UK Food Exports™ is not able to verify the truthfulness of any statements (including the authenticity of photographs) made by a customer in the advertisement copy. Accordingly, the customer shall be responsible for any losses, expenses or other costs incurred by UK Food Exports™ caused by an untrue statement or inaccurate photograph supplied by the customer. Full list of articles which may be prohibited and restricted from being included, is available here. In order to meet the technical and production requirements of the web site, UK Food Exports™ reserves the right to edit, amend or alter the copy or photograph supplied by the customer. 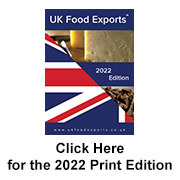 Where possible UK Food Exports™ will contact the customer to inform them of these changes prior to publication. In the event that UK Food Exports™ is unable to accept an advertisement for any reason, we will attempt to inform the customer of this if at all possible. In the event that we reject the advertisement, no charge will be incurred by the customer. No contract will be deemed to exist between the customer and UK Food Exports™ until the listing has been accepted for publication on the web site. The copyright in all adverts (including text and photographs) shall be owned by us and you hereby assign all such copyright to us. If your email relates to an advert, please include your advert reference number or postcode with the query. UK Food Exports™ will require to carry out routine maintenance and service of its servers and equipment. While UK Food Exports™ seeks to keep disruption to a minimum, it does not guarantee that the advertisement will be continuously available on-line for the duration of the advert. UK Food Exports™ liability for breach of contract or negligence shall not exceed an amount equal to the price of the advert or series of adverts involved, provided that nothing in this clause shall limit UK Food Exports™ liability for death or personal injury caused by our negligence or that of our service or agents. English law shall govern the terms and conditions of this contract of which they form a part.